Venezuela's dictator has endured -- but the popular pressure is again rising. 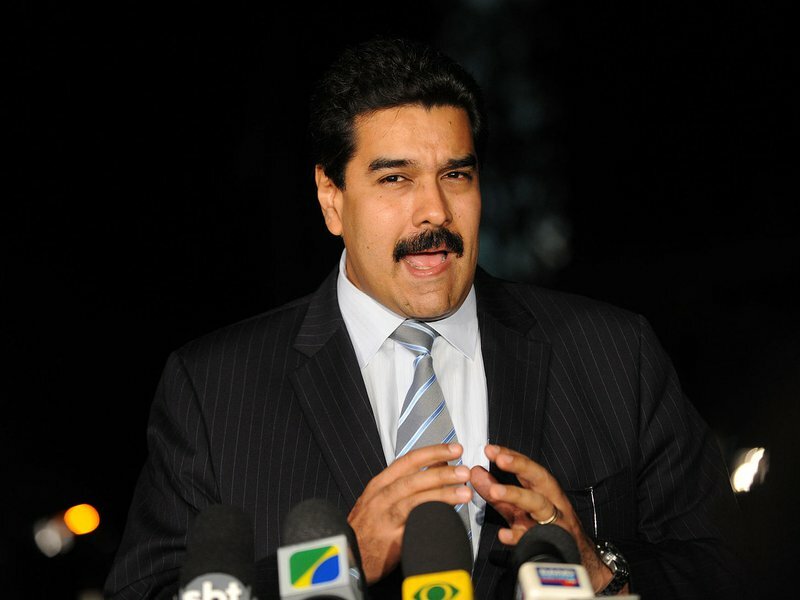 On January 10, Venezuelan President Nicolas Maduro was inaugurated for another five-year term. 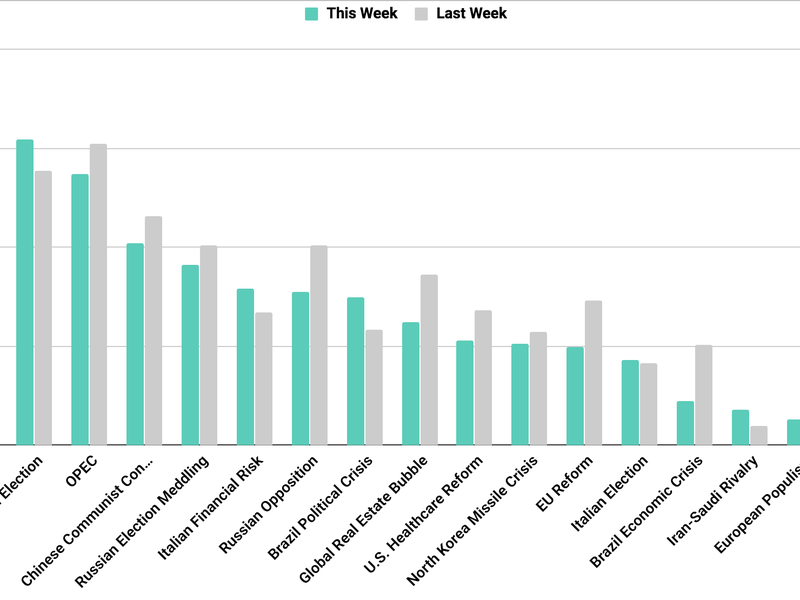 The election he won last fall was boycotted by the opposition, the result rejected by all but a handful of nations. 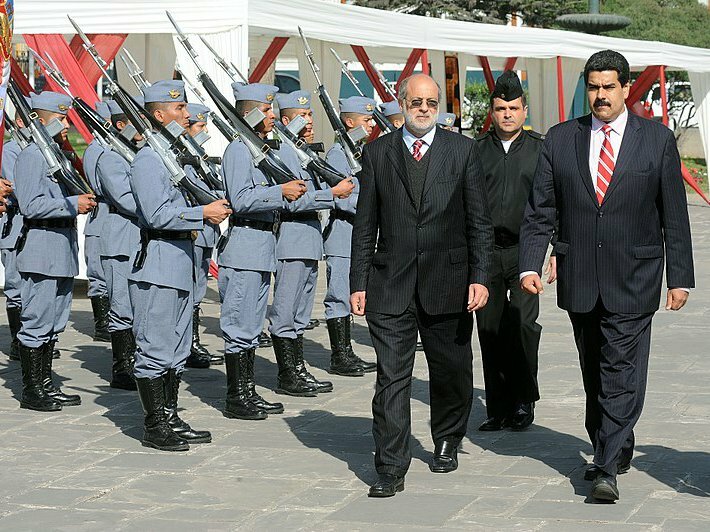 Ahead of the inauguration, the Lima Group, a multilateral body of south and central American nations (and Canada), imposed sanctions and issued its strongest condemnation of Maduro yet, saying it wouldn’t recognize his government. 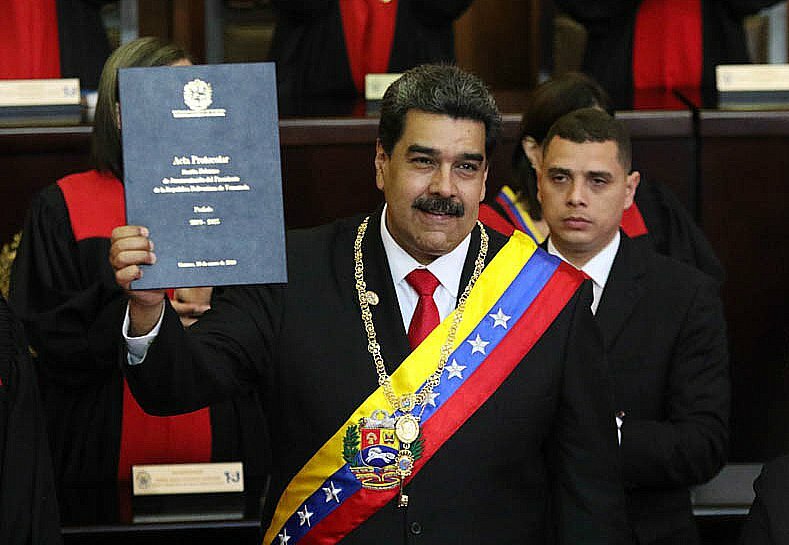 As the economy has cratered, elements of the security forces mutinied, and global powers levied crippling sanctions, Maduro has proved surprisingly obdurate. But the pressure is rising. 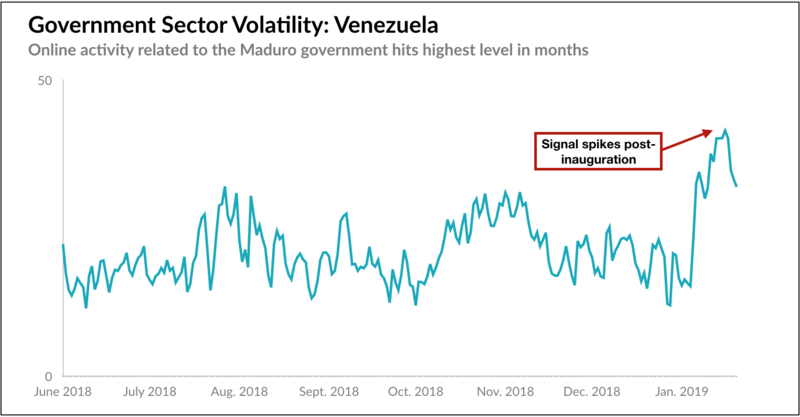 As the signal below shows, online activity related to the Maduro government is at its highest in several months, a sign of increased scrutiny of the regime. 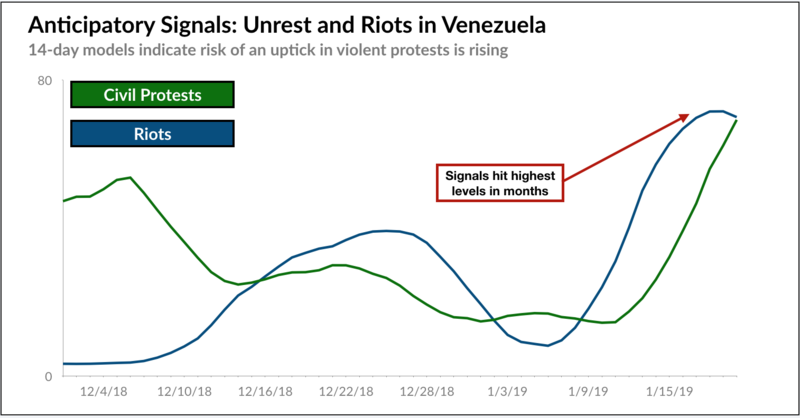 Further, Predata signals that anticipate protests and violent unrest -- riots -- rose for the past week to hit their highest levels in months. Yesterday, protests broke out in a poor neighborhood near the presidential palace in Caracas after a National Guard unit stationed there rebelled. The armed forces put down the mutiny and dispersed the protesters. Juan Guaido, the head of the National Assembly, who has emerged as a popular opposition figure and said he might usurp the presidency from Maduro, has called on people to take to the streets on January 23. 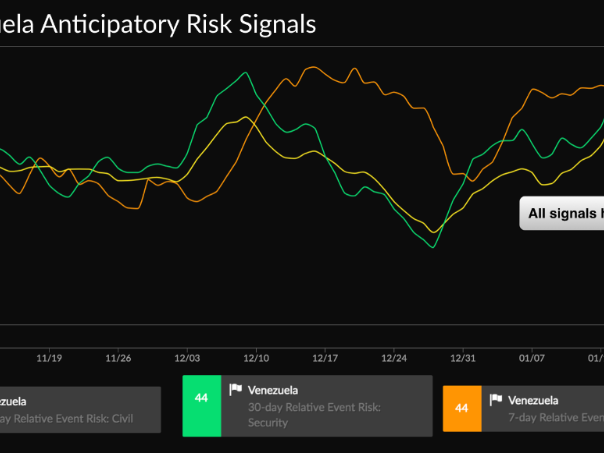 The high Predata signal levels suggest people will heed the call.